For some time now I have been looking for the ultimate sports tracker. 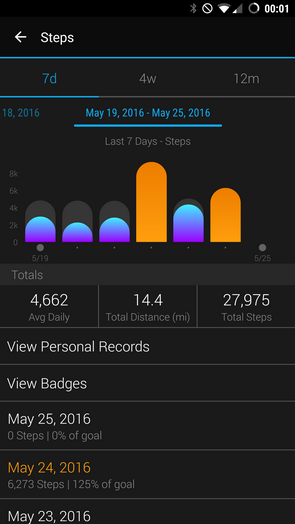 A few years ago in 2014 I purchased a Fitbit Charge and was a great introduction to a stats driven lifestyle. The Charge was a terrific product but was missing some essential features like a heart rate monitor, GPS and being water proof enough to swim. Fast forward a couple of years and the marketplace has changed immensely. Big brands like Apple and Microsoft have entered this space and there are several interesting offerings to choose from. I wanted something in the $200 range, informal that I can swim and have good cycling capabilities, namely ANT+ connectivity to read cadence/speed sensors. Furthermore, a heart rate monitor is quite common on current models but GPS’s are still a rarity, only reserved to the most expensive models. After some research, most candidates felt short in the waterproof requirement and ANT+. 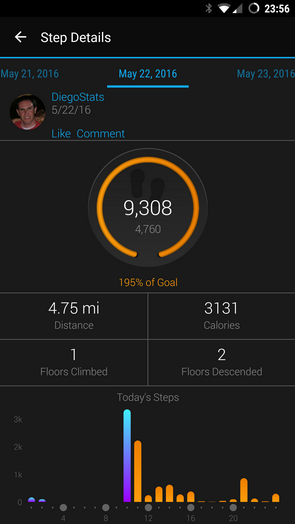 However, Garmin released an upgraded version of their Vivoactive activity tracker on early May, 2016 and decided to give it a try. The device has all the capabilities I was looking for and then some. it has most of the capabilities of their top of the line offering, Fenix 3 HR, at a fraction of the cost. 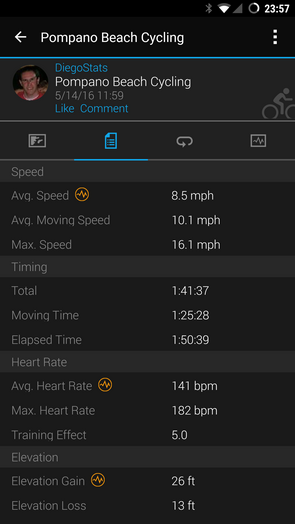 Garmin Connect: download apps, change watch face, sync data, etc. 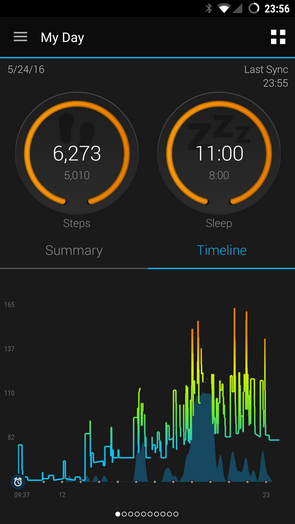 After a few weeks of use, I must say that I am enjoying the Vivoactive HR. The display is clear even though the resolution is low compared to other similarly priced offerings. I like the fact that it is an always on display and the battery lasts for almost a week. However, heavy use of the GPS will cut that dramatically. 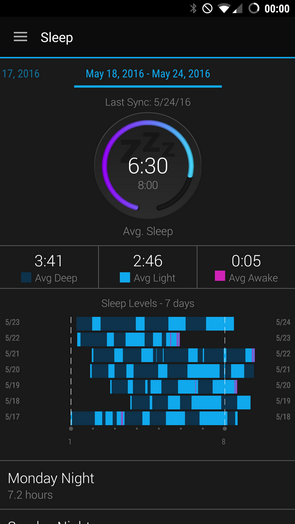 The automatic sleep feature is quite accurate, only occasional adjustments are needed on the start time. 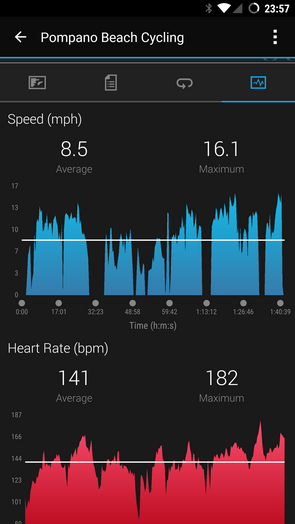 The heart rate monitor is excellent, I compared it to an external Wahoo chest strap monitor and they are almost perfectly in sync. By the way, the watch can connect to an external monitor or even broadcast its sensor reader for other devices to use. The notifications work just fine, emails, sms and phone call notices can be configured to show on the watch. I would like for the caller id to show instead of the phone number, or at least be configurable but that is a minor nuance. Everything else is pretty standard, calendar appointments, weather and music controls all work quite well. There are a few things that bother me a bit. I have lost several activities because after you pause an activity, it would time out if you don’t attend to it timely. Let’s says you are on a bike ride, you stop for lunch and pause the activity during that time gap, ie lunch. Unfortunately, the activity is lost if you don’t save it and start a new one after the interval. I am not sure why that is the default behavior, the activity should just be saved once the pause times out. 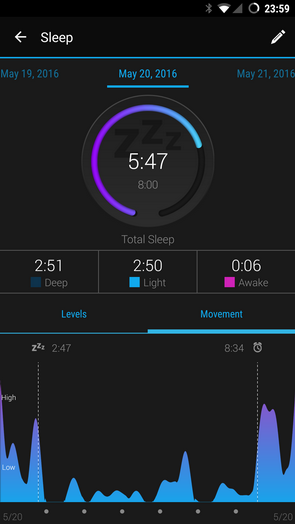 Also, the app market is quite limited, only supplying a few reporting apps and several watch faces. There are very few that actually extend the watch’s feature set. 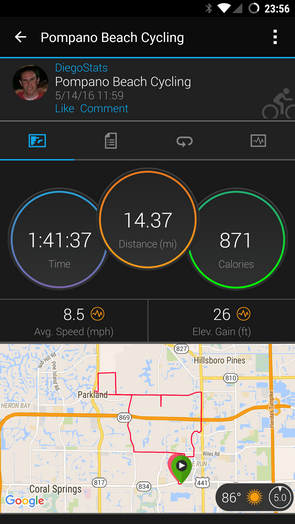 The companion Android Garmin Connect app is well designed and provides access to all the watch metrics. The navigation could be improved but it is useful and provides a myriad of statistics about all the supported activities. Currently the watch supports walking, biking, running, cardio, strength exercises, swimming, golf, rowing, skiing, XC skiing and padleboarding. It also supports indoor activities using stationary equipment where the GPS is not applicable (walking, rowing, cycling and running). 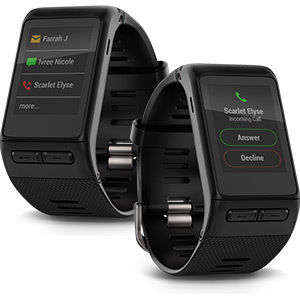 Nevertheless, the annoyances are minor compared to what the smart watch has to offer. Additionally, once of the things that I have grown to appreciate is the community around Garmin. It is a very active, growing and inviting community. The app provides several ways to interact with groups of friends or general challenges with people with similar fitness level. Overall, I would rate this smart watch 8/10. It is not very stylish or inconspicuous but it is loaded with features at a reasonable price. It is a terrific fitness watch and it would be unfair to compare it to an Apple Watch or a Moto 360. Those are for more general use by design, they are significantly more fashionable and provide much greater app offerings. However, they are heavier, they need recharging every 24hrs, don’t do well underwater and most models lack GPS capabilities, among other shortcomings. It all boils down to your intended use. 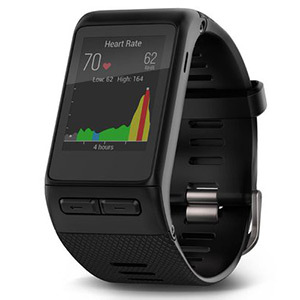 The market appears to be divided between the smart sport trackers (Fitbit, Garmin, Jawbone, Microsoft) and fashionable smart watch wear (Apple, Motorola, LG, Samsung). There are some attempts at being the master of all domain but they are expensive and usually fall short in either features or looks. The Garmin Fenix series has been somewhat successful at bridging the gap but its price tag is usually a detractor for many.